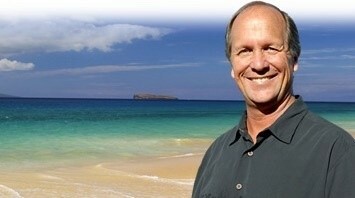 If you are looking to buy a home in Maui, you have come to the right place. This is Fred Haywood Realty's website, where you will have access to every home on the market, as soon as it comes onto the market. Additionally, you can also be notified immediately of any home that fits your criteria. Once notified, all you need do is call or press a button to set an appointment, and you can be looking at the home within hours. With 40 years successful real estate experience, you can be absolutely assured with Fred Haywood that you are in the hands of a highly experienced Realtor, who knows and understands the often complex and intimidating world of real estate transactions. See Why Buyers choose to work with me. Get the local advantage in your Maui home search. Give me a call. Search Homes Right Now. Use the search tool to browse the wide variety of prestigious homes and condominiums on the local real estate market. If you cannot find what you are looking for, please call me, as I have access to homes before they are listed on the market. Register for the Home Finder and let the home you want find you! Members can also create saved searches, store their favorites, and sign up for instant email alerts allowing you to be notified as soon as homes that fit what you are looking for come onto the market. First-Time Buyer? Read this information to become aware of some important things to look out for when buying your first home. Learn About Maui Communities, homes and local area markets before you invest. Refer to the Featured Areas section on my site for community information. I add to this section all the time to make sure it will be a comprehensive resource for you. If you're looking for information that is not on our site, please let me know, and I'll research it for you right away. Buy Your Home with a REALTOR®. Please read my Buyer's guarantee, and find out why working with a highly experienced Maui REALTOR® will alleviate your concerns giving you peace of mind from beginning to end. 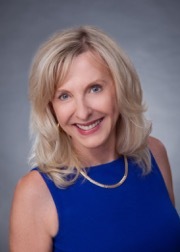 Connect to a Professional: If you need to know more about the area or any property that interests you, contact Fred Haywood any time. If you are looking for a Realtor who knows the area inside out, and excels consistently as a leading Realtor, you need look no further. I know Maui! When you're ready to take the next step toward purchasing a home, I am here to help find the house that you are looking for. Out-of-Country Purchases: If you are living outside the US and are interested in buying property in Maui, I can help you. Let me do the legwork for you.